I have changed the picture of my gamepass a few days ago from the configure page. This gif showcasing the bug happened every time I clicked my GUI that uses PromptGamePassPurchase. This gif was recorded in a live server. Steps: There’s bugs with this entire process of creating a place specifically to test this bug. It was loaded on the website while being a white background in play solo. Create gamepass with Picture1. Wait for pending. Prompt gamepass purchase and see picture as Picture1. Change picture to Picture2. Wait for pending. Prompt gamepass purchase and check to see if picture during prompt purchase is Picture1 or Picture2. Expected behavior is it is Picture2. Given my gif above, this bug has the actual behavior as Picture1. I do not know when this started happening, but I changed the gamepass picture on the 28th of December 2018. I could be mistaken, but doesn’t Roblox sometimes take time to fetch the newer asset thumbnail in servers? It can be outdated with player thumbnails. This is still an issue for my gamepass pictures, even on a different user on a different device, meaning this is what everyone playing my game sees. Just saw this - tried it for myself. We updated all of our gamepass icons when we launched the Pizza Party event (over a week ago) and in game they’re still not updated even though it’s supposed to. It used to work fine before. Hey can you post a link to the badge asset that is not loading correctly. 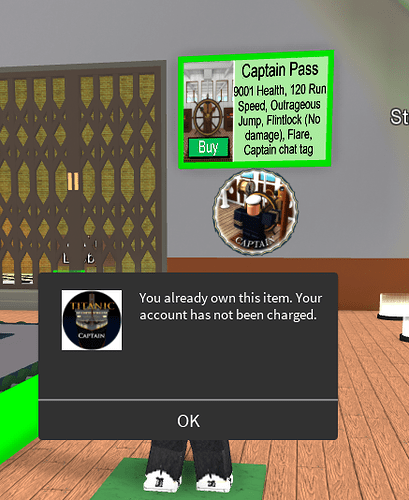 The new version of the asset is moderated, possible causing interaction with 1. Cache invalidation between web servers is broken, not likely due to the how long ago this asset was updated. 4 would probably the the scariest. So I’ll say this on mine. When we uploaded the new icons and were in our test place I original thought it was simply an issue of just not loading yet. Having not actually checked my shop UI since pushing the live update I was unaware that the in game gamepass icons were still not updated. Every one is cleared through moderation. I tried clearing my local cache - no luck. No clue about any of your other points but I think those may be out of my control. It’s not only 1 or 2 games, I heard that Roayle High upgraded their gamepass icons, and I went in to see. http://www.roblox.com/asset?id=1240412 gives me a file that Windows photo viewer does not recognize as a .png file when I try to open it locally (after adding a file extension). It’s possible but not likely that Roblox has changed the image transcode format to not be pngs. Something really funny is happening here. Not like “haha” funny though. Just to see if you receive the same result. Ah. Game passes are actually xml. So something about this asset’s record looks like it is corrupted. Scary. Hopefully it is just a bug in gamepass upload. It’s weird that the xml thinks we are looking at a ShirtGraphic. I’m not really sure what that is, but it doesn’t sound like a gamepass. @buildthomas can you move this to Web Bugs so that it can be properly triaged? Thanks! Note to whomever is assigned to fix this - there should be a database record that ties the game pass asset to the underlying image asset for the purposes of gamepass/image moderation. A good first step would be to make sure that this image assetid matches what is in the xml. Also, it occurred to me that maybe Game Passes are not assets, which would be odd, but if so, makes the above analysis useless. I wrote this code originally, maybe it’s my fault. 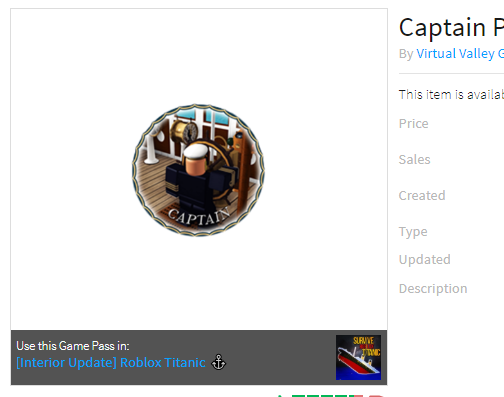 Just want to clarify that these aren’t badges but are gamepasses. That being said, as @TheAmazeman showed above, this doesn’t seem to be isolated to only a few recent uploads. Good catch. It’s late. Updated. Bumping this up as the new gamepass images still fail to show - this is impacting my in game revenue as the previous version were not of a good quality image.